Brighton & Hove Albion have confirmed the signing of Argentinian midfielder, Alexis Mac Allister from Argentinos Juniors. However, Brighton fans will have to wait till the summer to see the midfielder as he has been loaned back to Juniors for the remainder of the season. “Alexis is an exciting young player that we have brought in for the future, and he has already made a big impact playing in Argentina. 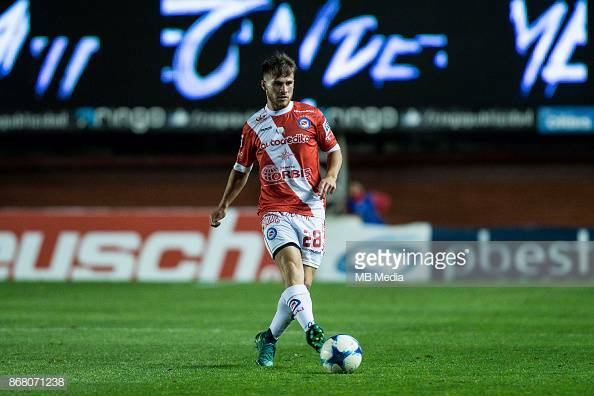 Since breaking through the academy back in October 2016, Mac Allister has scored eight goals in 58 appearances for Argentinos, which includes an impressive start to the season scoring three goals in nine games. The Argentinian seems to be a very versatile player, he is known for playing centre attacking midfielder. However he can also play in the number ten role, central midfield, left wing and even central defence midfield. This means he will certainly be a useful player for Brighton U23's and even the first team next season when he links up with his new team-mates in the summer.